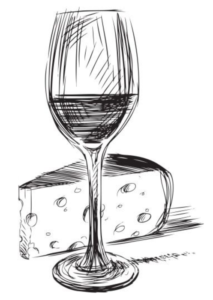 Friends Of Bishopston Library are hosting this wine and cheese tasting evening. If you’ve kept a dry January, this is a chance to get your taste buds back in practice. On offer will be a selection of cheeses from Murray’s Butchers and wines from Grape and Grind. There will be six wines to try and a good variety of cheeses. You don’t need to be an expert, just enjoy the tasting and share your thoughts with each other. You can expect a sociable entertaining evening. We have to limit numbers for this event so tickets are only available in advance from either Eventbrite or payable by cash at the library. We’re intending to close ticket sales on Tuesday 5th February so please don’t leave it until the last minute. Doors open 7 for 7.30.